See PAST HERENCIA LATINA EVENTS here. Wistariahurst Museum is planning a bi-lingual exhibit created and curated by members of the Latino community in the Pioneer Valley. 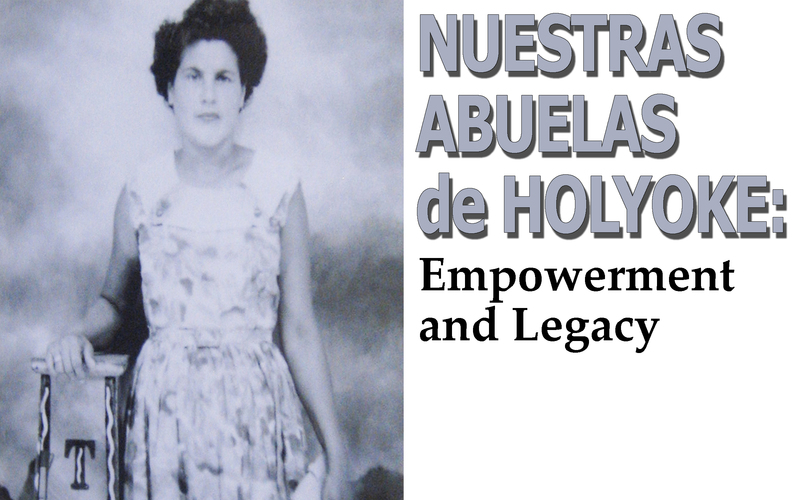 This project, called “Nuestras Abuelas/Our Grandmothers,” will commence in August 2015 with outreach into the Latino community to collect oral histories and images of community members. This activity will continue through October. After translation and editing in November through January 2016, the exhibit will be prepared in February for a March 2016 opening, with reception. Venue: Holyoke Community College, Holyoke, 7 p.m.
Professors Mark Clinton (HCC) and Frank Couvares (Amherst College) teach an interdisciplinary, inter-institutional course called “The Immigrant City,” which is taught in part in downtown Holyoke and which uses the city as text. They will facilitate discussion at a public screening of Episode II: Empire of Dreams, which focuses on the post-World War II era. Wistariahurst Museum will display an exhibit of work done by students in the Learning Community “The Immigrant City.” This course enrolls students from Amherst College and Holyoke Community College, and is team-taught by Professors Mark Clinton and Frank Couvares. The students will perform archival research in the Carlos Vega Collection of Latino History in Holyoke, an historically rich archive that traces the earliest history of the Latino community. The students’ work will then be exhibited at the museum.